Dawie Groenewald, a member of the SARU Executive Council, cutting the tape to mark the opening of a Mobile Team Training System in Springbok. Looking on are Frank van den Heever, centre (Executive Mayor: Namakwa District Municipality) and Zingi Hela, left (Manager Amateur Rugby Griquas). 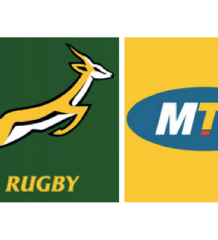 The South African Rugby Union (SARU) has extended its innovative Mobile Team Training System (MTTS) to a 33rd location – in Springbok in the Northern Cape. 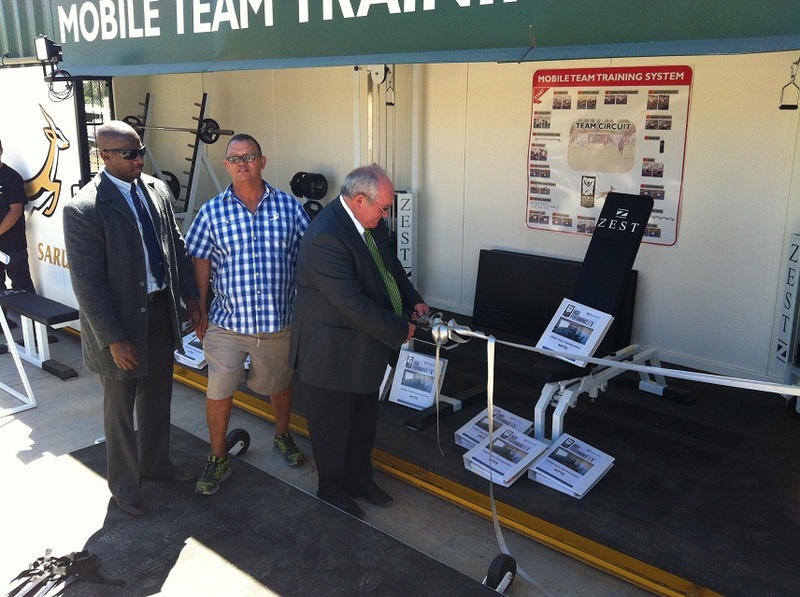 SARU Executive Council member, Dawie Groenewald, cut the tape on the installation which provides fitness and conditioning equipment to rugby players in the Springbok region. The first MTTS was rolled out in 2003 with a clear intention to assist under-privileged players in accessing gymnasium equipment in order to enable them to close the conditioning gap on more privileged players. The ‘mobile gyms’ are converted containers which come complete with weight training and conditioning equipment. Specially designed exercise programmes are provided which allow up to 40 players to train at one time. “The MTTS is invaluable when it comes to the development of rugby players in the rural areas, where there is a shortage of equipment,” said Jurie Roux, CEO of SARU. “It’s now almost a decade since the first MTTS was installed at Butterworth in the Eastern Cape and we’ve seen the change in the physique of players that use these gyms. It has also helped clubs in previously disadvantaged areas develop a culture of fitness and strength training through general education.